Halloween + Perfume + H.P. LOVECRAFT = YES, PLEASE. HAVE ALL OF MY MONEY. THE CHANGELING. Blonde wood, linen swaddling, pumpkin rind, and bourbon vanilla. THE GOROBBLE. A scent redolent of the crusty exterior of burnt marshmallows. THE TA-TA. Boiled leather, carnation blossom, coffee absolute, and tobacco. THE WILEY GRASSER. Pine needles, wildflowers, and cotton candy. I nearly fainted with joy when I saw the Pickman Gallery business card included in my package. Torment and Reverie is the first installation in an exhibition that exemplifies man’s fascination with the darkness of his own psyche. Hand-picked by acclaimed artist Richard Upton Pickman, the images embody the delightful beauty that is found when we confront the horror of sublimity. Opening at the Pickman Gallery on September 8, the show features phantasmagoric works of horror fantasy that span the globe and traverse the centuries, showcasing thirteen works of art illustrating the dreamscapes of Pieter Bruegel, Henry Fuseli, Hugo Simberg, Félicien Rops, Jaroslav Panuska, Luis Ricardo Falero, Loghi Kimon, Nikolaj Abraham Abildgaard, Nicholas Manuel Deutsch, and Odilon Redon. An Open House reception will be held on September 8, 2011, from midnight til 3 am. RSVP required. Refreshments provided by the Zadok Allen Vinyard and Epicure of the Terrible, the Miskatonic Valley’s premier event catering service. Also on view at the Pickman Gallery until December 13, 2011, is Seeking the Seekim I, a selection of Sidney Sime’s zoological illustrations. This exhibition is on loan from the Department of Zoology at Miskatonic University and is part of a collection of nature illustrations that are featured in Prodromus of the Zoology of Non-Native Invasive Species Endemic to the Miskatonic Valley and Its Environs, published by Miskatonic University Press. Sponsorship Torment and Reverie: The Ecstasy of Horror and the Perversity of the Sublime was guest curated by Elizabeth Barrial, director of the Black Phoenix Foundation for the Arts, and TJ Barrial, Visual Arts Professor and Department Chair at the Dunwich Academy of Arts, and was organized for the Celephaïs Athenæum by Brian Constantine, Curator of Sculpture for the Clark Ashton Smith Memorial Gallery. 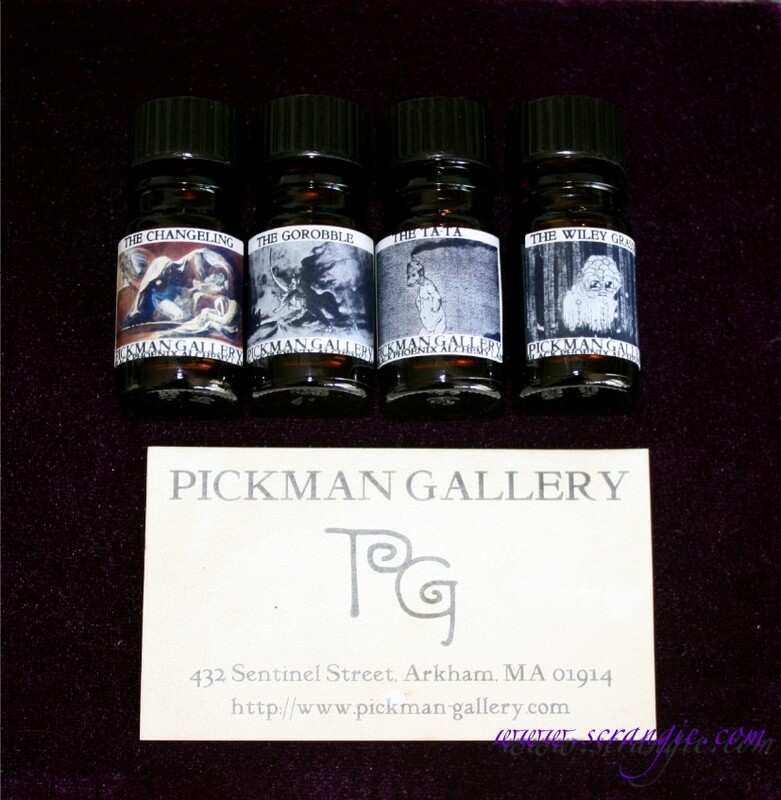 The Pickman Gallery is the Miskatonic Valley’s premier privately-owned art gallery. Founded in 1923 by interdimensionally renowned portrait artist Richard Upton Pickman, the Gallery offers the Miskatonic Valley community a dynamic roster of stimulating, dread-provoking exhibitions and enriching public programs. Though the Pickman generally focuses on Aestheticism and Decadence, nearly all artistic movements have been represented throughout the years. Exhibitions organized by the Pickman have featured the works of both local and international artists, and have encompassed all of the visual arts, including printmaking, photography, sculpture, video, film, and performance. The Wiley Grasser looks like something I'd like-let us know after you've tested them! Yes, please post after you've tested EACH one of them...X ) I know I'm asking a lot but your blog is my favorite...It's the first makeup blog I read, and, many years and innumerable blogs later, still the best. I want ALL of these, NOW. I also want to go to the Pickman Gallery! It sounds awesome. I believe John Zaffis's Paranormal Museum is in MA. He's the nephew of a medium that "worked" on the Amityville Horror house. HE fills the museum with objects that are suspected to have negative (spiritual) "attachments". Really cool. I live in CA, so I'm not going anytime soon. BPAL is just so awesome - isn't that ad copy great? BPAL is my wallets downfall. Would REALLY love to read your scent reviews, I've never tried a BPAL leather so I'm curious how it comes into play in The Ta-Ta! I love that you got a business card in your order, and Pen's right, the ad copy is just genius. Thanks for sharing your haul! Well, goodbye money. 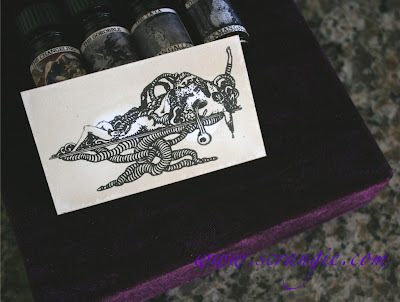 Hello Lovecraft inspired perfumes! Can life get any better, seriously? I have most of them and they are excellent.